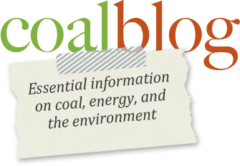 This is one of the best quick, simple, straightforward videos on the benefits of using #coal that I have seen for some time. Thanks to Alpha for putting it together and thanks to Alex Epstein for sending me the link. Categories: Coal Fundamentals, Energy, Jobs, Mining, Power Generation, steel	| Tags: better, cheaper, cleaner, coal, energy	| Comments Off on Did you know?